Whether implicit or conscious, bias is the number one threat to humanity and any company’s success. If your company’s goal is to create cohesiveness within your organization, increase revenue, be innovative and/or elevate your reputation- the bias in your workforce and community is a roadblock. You know the problem. Permission:Granted is your answer. Companies need to know what to say and how to get diverse customers to buy their products and services. Why? Because business sustainability, competitive advantage, a constantly changing economy and about $14 trillion in buying power. During this session, Risha will share with attendees the keys to effectively engaging various diverse groups and provide them with tips to create a diversity communications strategy for their company. I am the Founder & CEO of Risha Grant LLC, an award-winning diversity consulting and communications firm and additionally I created DiversityConneX.com. It’s a highly successful online recruitment tool utilized by both small organizations and Fortune 500 companies to connect diverse professionals to their career opportunities, internships, and non-profit and corporate board positions. "Risha Grant is a dynamic and very effective speaker. Her ability to demonstrate the value of Diversity & Inclusion, while providing individuals the opportunity to recognize and examine their own personal beliefs and behaviors, allows her message to truly resonate and live beyond her presentation." "Risha’s approach to diversity and expert advice impressed me to say the least. She is articulate, smart and provided a practical approach to improve diversity and easily applicable resources to achieve success." 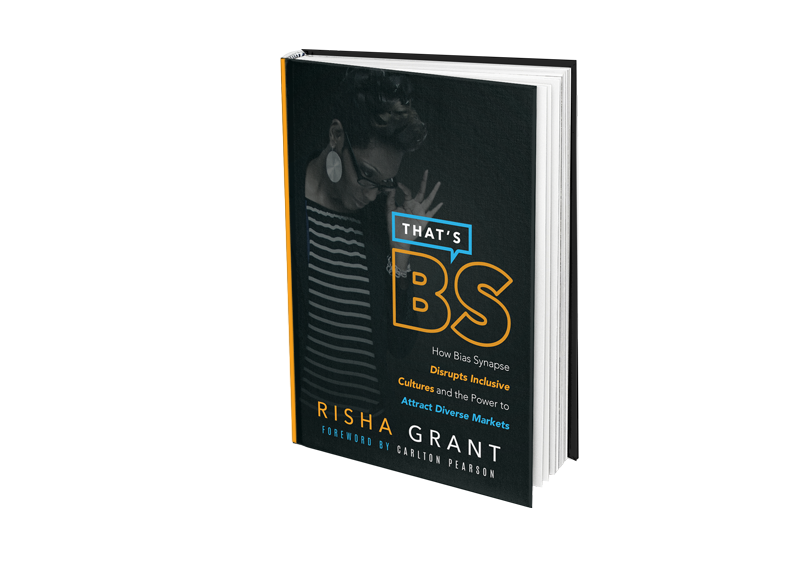 "Risha Grant is tenacious in her approach to define and explain diversity from her audience’s point of view. She is the most engaging and interesting speaker with a style of her own that will provoke audiences into learning without being aware." 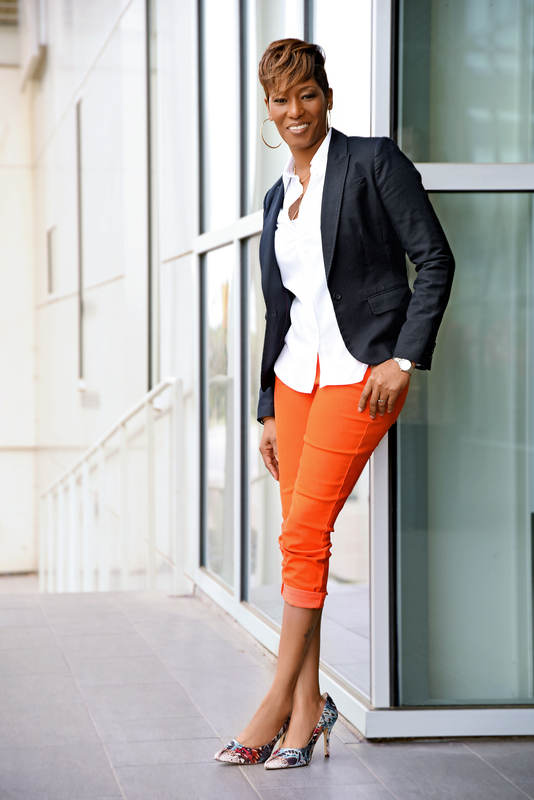 I am the Founder & CEO of Risha Grant LLC, an award-winning diversity consulting and communications firm. 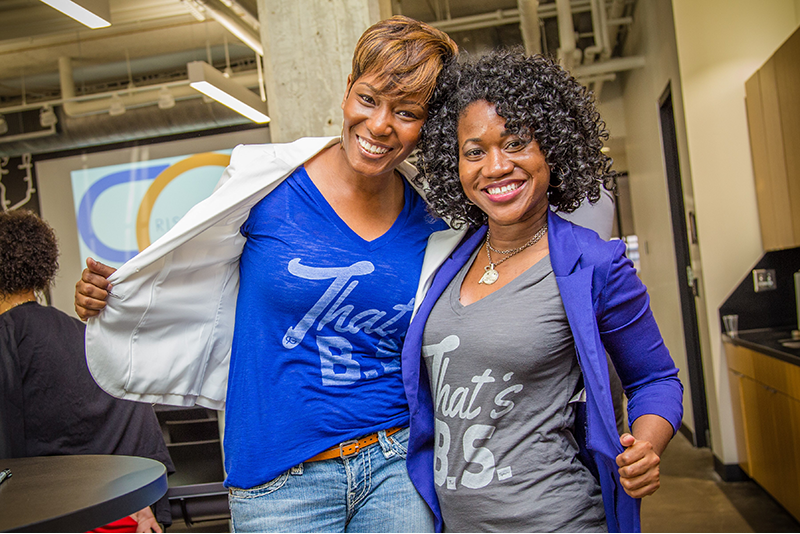 Our mission is to utilize diversity communication strategies, tactics and training as a catalyst to create an inclusive culture in every company and community. Additionally, I created DiversityConneX.com, a highly successful online recruitment tool utilized by both small organizations and Fortune 500 companies to connect diverse professionals to their career opportunities, internships, and non-profit and corporate board positions. As an international speaker, I use passion, knowledge and humor to empower attendees to increase their bottom line by giving them tools to get rid of their B.S. The engaging approach of my consulting and training has helped governors, NBA teams, mayors, Fortune 500 companies, non-profit organizations and companies to reduce bias and further the understanding of Diversity & Inclusion.